safe packing, Express Such as DHL, FedEx,TNT or UPS for shipping rapid prototype; using the strong plastic canrton or wooden carton. 6.Advantage: High quality, low prices, fast turnaround, free shipping by air within 3 days, no extra tax. 7.Application: Fast way to realiez and test your designed-parts and develop your new products to market. Any material that is commercially available in stock sizes. A wide variety of plastic and metal material options.ABS,PMMA,POM,PP,PU,PC,PA66,PMMA,PVC,PVE, aluminum Zinc alloy, copper, iron, steel. Nylon, Glass-Filled Nylon, Flame Retardant Nylon and Durable Nylon. we develop the custom designed-parts, with a wide range of materials suited to different industries and specialize in prototyping, tooling and both short to mass run productions finally. CNC Machining, SLA(Stereolithography) and SLS(Selective Laser Sintering), 4~7days lead time. 4. Parts Production, Final Assembly, Testing and Packaging service. 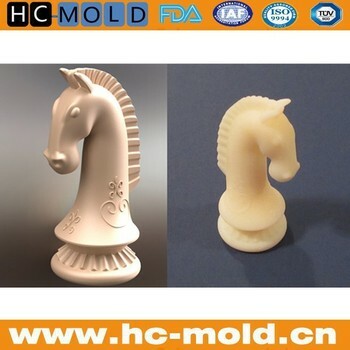 If you have any projects that you feel proper for HC-Mold, please do not hesitate to contact with us for quotation or support at any time, and our Team will reply with within 8 hours. Confidentiality is very important at HC-Mold, we make our quotes internally, so your files will not leave our company, Protection of clients' intellectual property has always had a high priority at HC-Mold. If your project is confidential we will be happy to sign an NDA with you. 1. please send message or enquiry to us directly. please use @ instead of (a) of above email address if you send email to us.